Have you ever had a student that can read almost any word put in front of them but isn't able to understand what they read? Check out these ideas for working with kiddos that need extra help with understanding what they read. 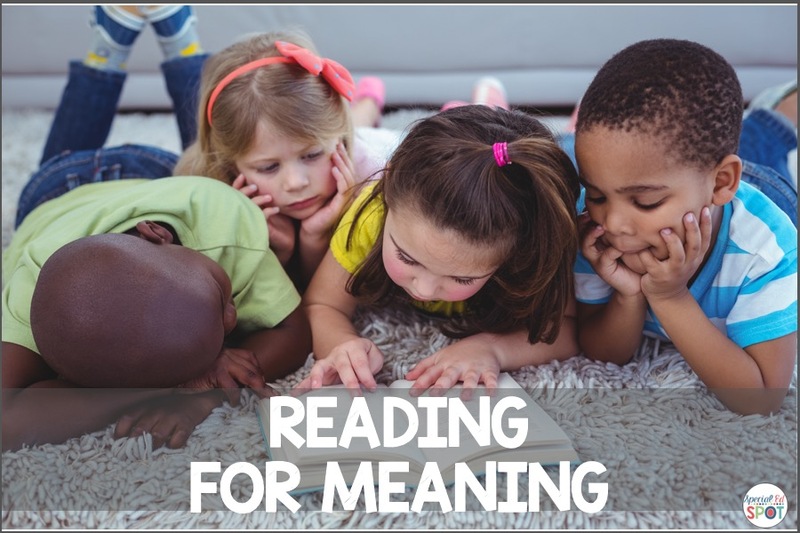 We know the beginning of reading is connected to deciphering the letters, sounds, and words otherwise known as decoding or word attack skills. Grasping the entire reading process, we know it also means understanding the message that is being conveyed in the text. This can be the most difficult piece of the reading process for some. 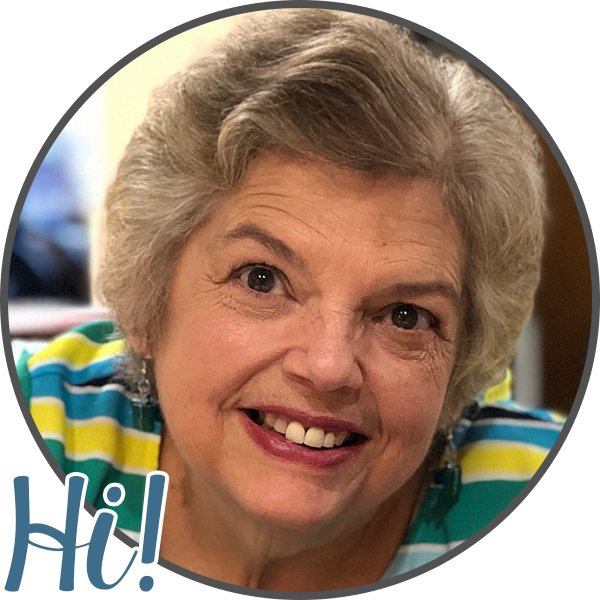 Just as word attack skills begin with phonemes and letters, comprehension needs to be broken down and taught piece by piece to help students make the connection to the message in the text being read. I like to start all the way back at picture comprehension. I start with pictures kids will enjoy and identify with such as pictures about birthdays, preferred activities, and even pictures about things I know they would like to do. I want the students to connect with the pictures and even connect them with experiences they have had. 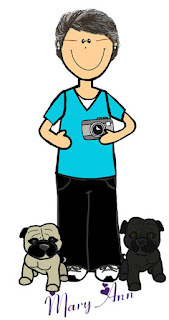 Here is a picture from my new freebie in my store. Once students can grasp what is taking place in the pictures, I transition to pictures with one easy to read sentence. Who is kicking the ball? What is the boy in orange doing? 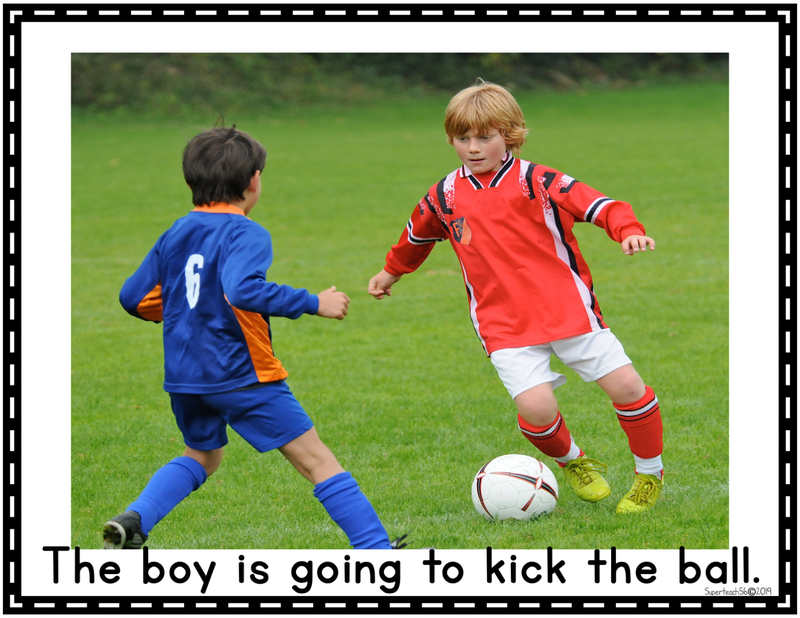 Where do you think the ball is going after it is kicked? The purpose is using materials such as these is to be able to discuss the background of the picture, the actions of what they see and the message the picture is bringing to the reader. 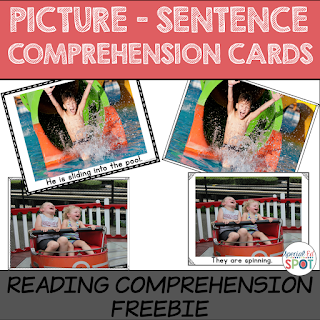 Here is a FREE resource packet from my TpT store that I have used to work on picture and sentence comprehension. Check it out. Working with paraprofessionals is a gift! There is no way around that! 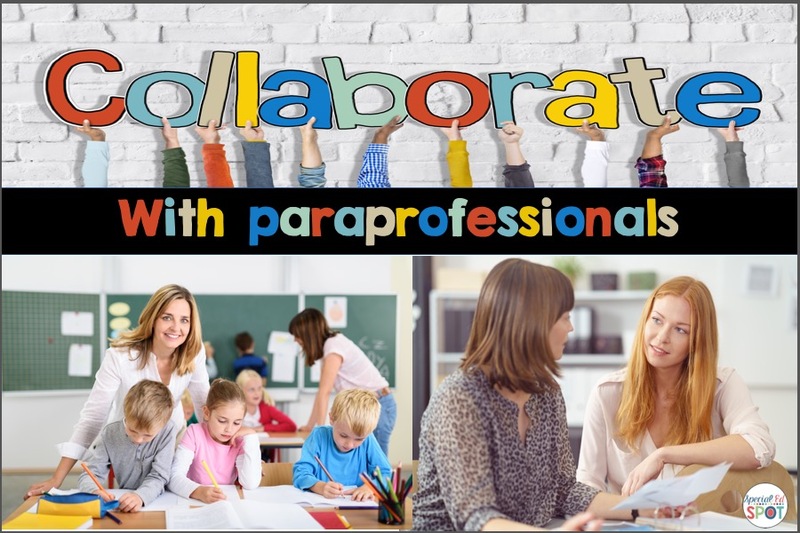 I have had years where I have had NO paraprofessionals or teaching assistants as they are often called. No matter who the person is and what their skills and talents are, they are a gift in the special education classroom. It can be extremely difficult to manage a SPED classroom without these special people. How well the special relationship between you and the paraprofessional evolves takes communication, teaching, feedback and compromise to make it work well. And just like any relationship, it requires constant attention and care. So you are new to special education or perhaps you are getting new paraprofessionals because you have changed jobs. One of the most important things in working with adults in the special education classroom is establishing a relationship. Here are a few ideas on how to make the most of YOUR paraprofessionals/teaching assistants in YOUR classroom. I knew I wanted to establish a good relationship with them and a safe and friendly environment for everyone to be in. I wanted them to feel comfortable in the classroom. I wanted them to have a stake in how are kids performed. Share your story with them. What makes YOU tick? What goals do you have for the classroom and the kids? Sometimes I did this in a casual way with just chatting with them in getting to know them other times I did this in a more formal way with a kind of get to know you form. Often I would set up times outside of school where we could meet, have coffee and chat. This usually worked best for me because I could focus on getting acquainted with this new person with whom I was going to work closely. Set aside time during the school day to get acquainted. Sometimes impromptu chats ended up being interrupted. I found it worked best if we set aside a time to chat. I liked to have the opportunity to share my classroom goals, a little about myself such as likes, dislikes, and expectations. Sometimes its just impossible to get a moment before you and your paraprofessional are working side by side in your classroom. In those circumstances, I occasionally used a Get Acquainted form. While it sounds stuffy and formal, I found when I had to use it, it gave my parapro time to sit down at their convenience and reflect and give thoughtful answers. This usually gave me a lot of useful information it gave me information about how they saw themselves, what they felt their strengths and weaknesses were. I also share an expectations list of things that are expected in their job, not only by me but in our Special Education department and school. If you would like a copy of the form and the expectations I used, you can get yours HERE. This is one of the most important things to do. I liked to have a student information sheet ready to share with the paraprofessional. Start with their strengths. Everybody has strengths and weaknesses and paras are no different. 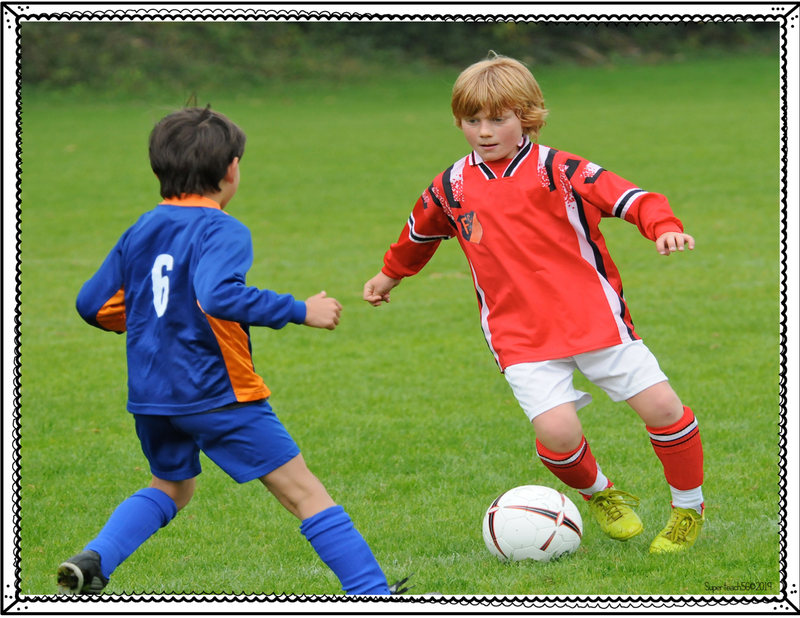 When assigning tasks, I selected an activity or task I knew would be an area of strength for them. Perhaps it would be something they shared with me they liked to do. The next thing I do is to look at where they think they are weak whether that is in things such as discipline, recording data, in managing children with severe behavior issues, or changing diapers/pull ups. This might be something I observed or something they had shared with me was weakness. Share your knowledge. Talk out loud. That may sound so funny to say, but how many teachers do so much of their work mentally? Another way to share information about your students with teaching assistants is with a STUDENT INFO form. I design a short information form that I complete on each student. 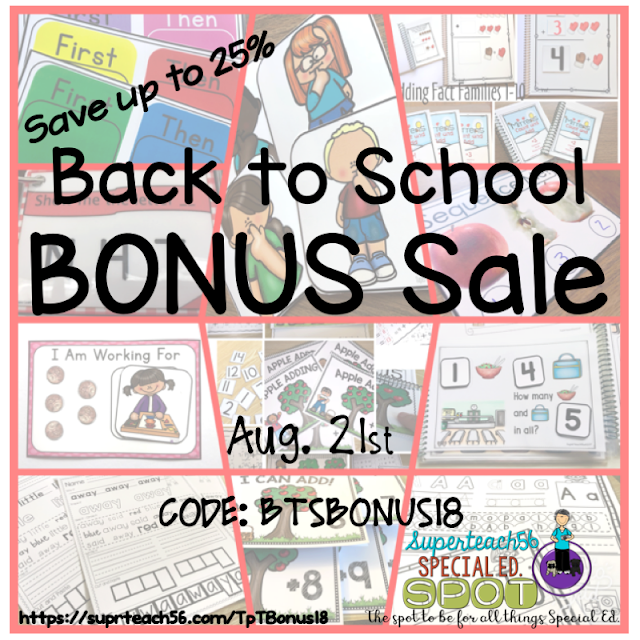 It includes things such as a picture of the student, their likes & dislikes, Their medical needs and behavioral issue and reinforcers and techniques that work best for that specific student. I have a few examples of ones I have used in my store FREE. Check them out. Check back often for new additions. Give positive and constructive feedback to your teaching assistance. Set a time aside to give feedback and guidance to the paraprofessionals. Always be open to hear what they are saying. What is working for them? We all like to hear whats going well. Share the good things you see. Share and reteach what isn't going as well. Adjust, modify and BE FLEXIBLE! Of course, we know FLEXIBILITY is key in Special Education! HURRY to Superteach56 TpT store to check it out! I Can't Wait to Share this with you! Scroll to bottom for all the details! I don't you to miss out on this fabulous news! 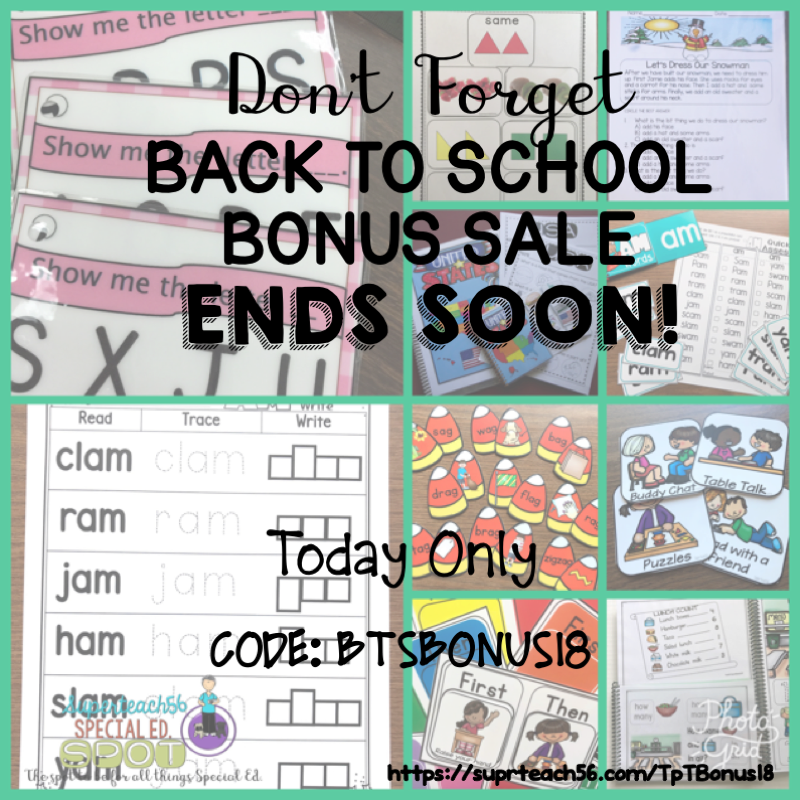 Tuesday, August 21st Teachers Pay Teacher is having a Back to School BONUS SALE.